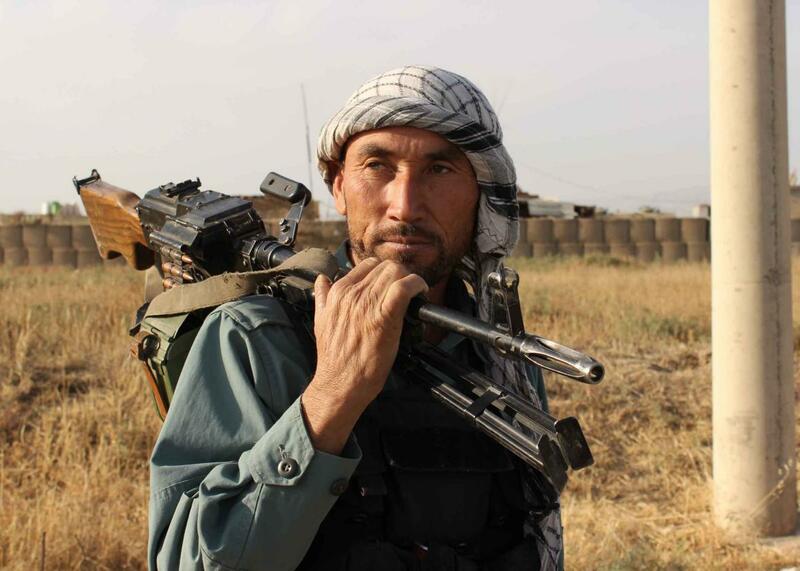 An Afghan policeman holds a gun on his sholder a day after Taliban insurgents overran the strategic northern city of Kunduz, on September 29, 2015. Nine months after it formally ended combat operations in Afghanistan, the U.S. launched airstrikes against Taliban targets near the Northern city of Kunduz on Tuesday. The airstrikes were in support of an Afghan military operation to retake the city, which fell to the Taliban on Monday, the first provincial capital taken over by the group since 2001. As the last Taliban stronghold to fall to the U.S.-backed Northern Alliance in 2001, Kuduz, a major transportation hub, has huge symbolic value. Even if government forces eventually gain the upper hand, which is far from assured, taking the city is a propaganda coup for the Taliban, just a few months after the death of longtime leader Mullah Omar was confirmed. It’s also a major embarrassment for the country’s armed forces, who were reportedly pushed out of the city by a Taliban force they significantly outnumbered, and a challenge to the fractious Afghan government. Now a full year into President Ashraf Ghani’s term, the country still doesn’t have a full cabinet, including no defense minister. There are 13,000 international troops in Afghanistan—9,800 of them Americans, who are supposed to be there for training and counterterrorism missions only, though the number of U.S. raids in the country has reportedly increased. In March, the U.S. agreed to halt the withdrawal of troops this year—the previous goal was to have the number down to 5,000 by the end of 2015—but the U.S. is still committed to a full withdrawal by the end of 2016. That will become a lot less likely if the Taliban gains continue, not to mention growing concerns about the presence of ISIS, which attacked several Afghan security checkpoints on Tuesday. Congressional critics like John McCain are already blaming these recent events on the U.S. drawdown, and given what’s taken place in Iraq since the U.S. pullout, a complete withdrawal will likely be viewed as too risky. The chances that Obama will pass on America’s longest war to his successor are increasing by the day.